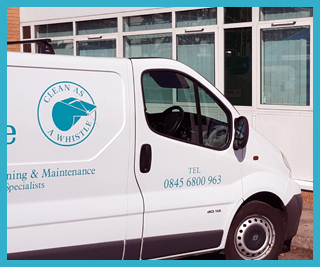 Clean as a Whistle have over 30 years experience in the cladding cleaning industry. Free demonstration. To find product compatibility & establish the standard of finish you are happy with. Low pressure techniques minimises disturbance, enabling the building to be used while the cladding cleaning is being carried out. Efficient working methods help us to be cost effective. 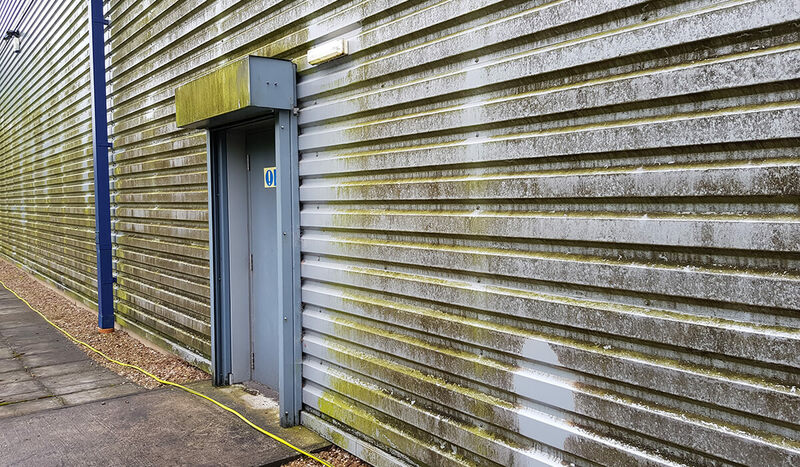 Cleaning the cladding on your building is part of a preventative maintenance program that will protect your investment, and extend the lifespan of the building. This can reduce ongoing maintenance costs, and prevent costly replacement work. 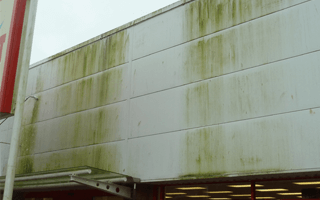 Removal of airborne pollutants, algae, mould, moss and other debris will prevent the breakdown of the coating, and keep the panels in good condition. 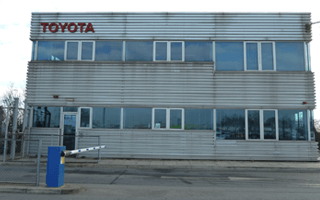 The products that we use not only clean the cladding, but leave a protective layer, helping to repel dirt and pollutants for longer Regular cleaning and maintenance of your building will enhance its appearance and give a favourable impression of your business to your customers and visitors. Clean as a Whistle have experience in working with landlords and letting agents, cleaning cladding on commercial properties. A clean well maintained building has a greater chance of being let, or sold, and helps to raise the profile of the landlord, or agency. 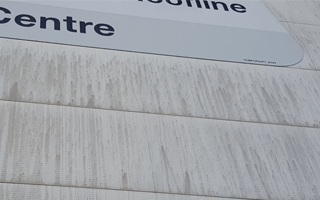 It is important to identify what type of cladding system is on your building to choose an effective cleaning program, using detergents and processes that will not damage the substrate. Most modern cladding panels are powder-coated aluminium, or plastisol coated aluminium and many are insulated. 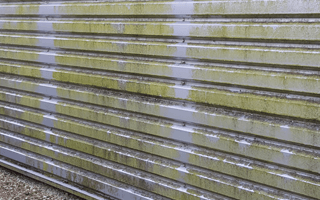 Pressure washing these materials produces very poor results, and can damage the substrate, and cause water ingress creating problems. If the wrong cleaning methods are used, it may not be obvious immediately, but sometimes months after the work is done the damage becomes apparent. Clean as a Whistle use low pressure, non-abrasive methods in conjunction with specially formulated, ph neutral detergents. These methods are very effective, and help us to produce good results working efficiently and in a cost effective manner. Suitable methods to access higher areas are chosen to ensure safe working practises, and ensure no damage is done to the building. Usually mobile platforms are used and all operators are trained to use this equipment.